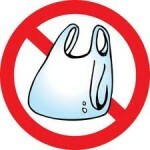 After the San Francisco Board of Supervisors passed the bag ban in February 2012, Save the Plastic Bag Coalition, a pro-plastic bag organization, filed a lawsuit demanding an invalidation of the ordinance because the board passed it without conducting an environmental review. The coalition filed a similar lawsuit in San Luis Obispo Superior Court, as well. Judges in San Francisco and San Luis Obispo upheld the bans, finding that they did not cause harm to the environment and thus did not require CEQA review. Save the Plastic Bag Coalition then appealed the San Francisco ruling, which the First District Court of Appeals upheld Friday. Evidence supports San Francisco’s conclusion that the plastic bag ban can only benefit the environment, Justice Paul Haerle said in a 3-0 ruling. Hasn’t everyone noticed how low food prices have dropped since stores no longer provide us those “free” bags? My thought is that no bags means people will buy less. I certainly do and expect to lose a couple of pounds too. In the past I was never concerned about the transport issue and now with that in mind I carry less, spend less and eat less. I do not miss the waste, the habit has changed. What a P.O.S. idea this is. Plastic bags are not the earth’s environmental Armageddon; it’s the 6 billion people on this planet. What a waste of time you eco whack-jobs are. Filing suit under CEQA is a daft idea. CEQA only requires analysis of things that hurt the environment, and since banning plastic bags helps the environment, where’s the beef? The suit is also a waste of money since winning it would simply require the county to do an EIR, which they’d do, and then reinstate the ban. Only the plastics industry could have money to waste this way. Ah, yes, didn’t we already know the save-the-bag coalition was industry astroturf?